Dr. Hernandez has spent his entire career focused on the care of underprivileged children. After receiving his Doctor of Dental Surgery degree from New York University in 2000, he went on to play leadership roles in two other companies that were pioneers in this field. With 16 years of experience, he brings a level of expertise that is unparalleled in this highly specialized field. 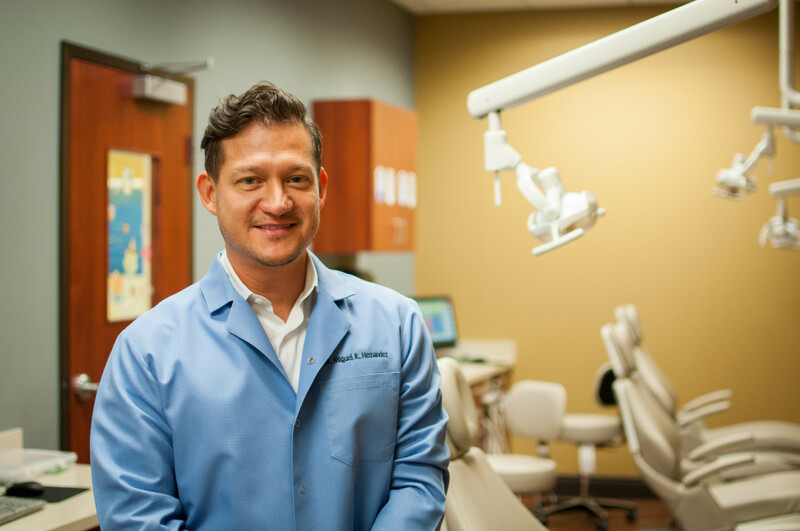 Dr. Hernandez has built MH Ortho with the mission and focus to provide the very best care in a friendly environment. We are committed to providing underserved children with the dental care they need. We work with parents, schools, community organizations, and other medical professionals to ensure that every child in our communities has access to quality care, and is informed about proper oral hygiene. All MH Ortho employees, from the front desk staff, to the hygienists, to the dentists, specialize in the care of children from age 7 to adolescence. We offer affordable dental care in a fun, compassionate, kid-friendly environment.